Nothing beats getting someone a gift that is so right for them; a gift that would bring the kind of unusual smile that you only get to see once in a while. It leaves you feeling satisfied knowing they love the gift and they would cherish it forever. Sometimes, you just want to get a gift that you both would have and cherish in common as well, but you want them to appreciate. Bracelets make a great gift that would fit into that category. 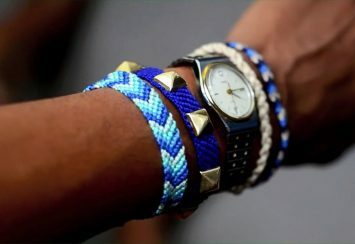 With bracelets, you don’t have extra worries on choices in terms of dressing. This is because bracelets easily match the kind of outfits worn for almost every occasion. For this reason, each time they put on that bracelet, you come to their mind. This would happen especially if you get them one that carries a message in it. Bracelets would go anywhere and everywhere with your lover and they don’t only make great gifts, they make a great way to establish your presence in their lives. 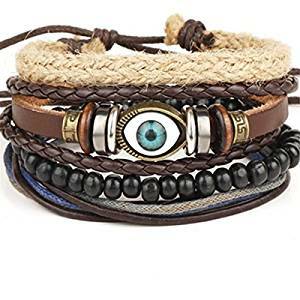 There are several kinds of bracelets including cuff bracelets, bangle bracelets, beaded bracelets, charm bracelets, stretch bracelets and leather bracelets. 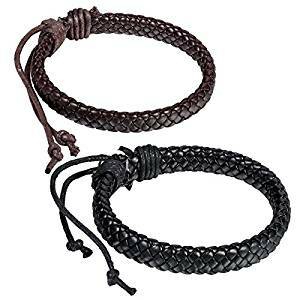 However, this article is focused on leather bracelets. 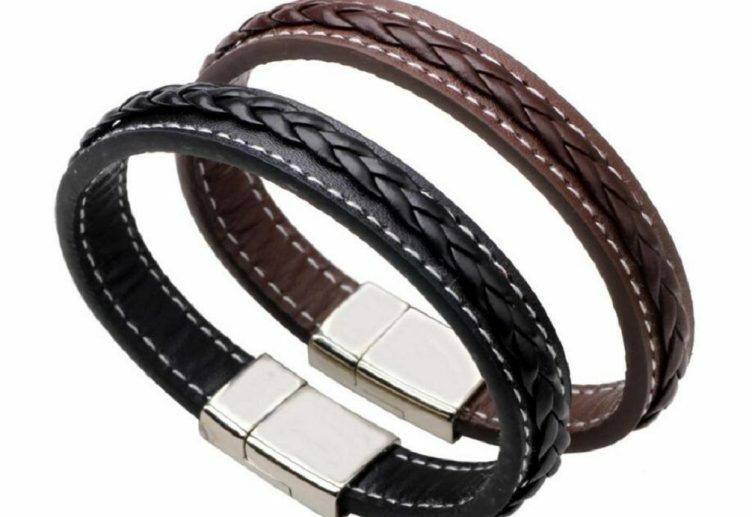 This article serves a guide to getting leather bracelets that will stand the test of time for your significant other. These are great for gifts because strong leather lasts for quite a while and you don’t want to get them something that would become useless so soon. This is so important especially if you end up getting a bracelet that is not adjustable. It’s better to stay on the safe side than to end up being sorry for an issue as trivial as not measuring your wrist. Wrap a tape measure around your wrist (on the part where the bracelet would rest) and mark the point at the end of your measurement to know your exact measurement. Alternatively, you can wound a paper strip round your wrist then mark the place where the circle ends before measuring with a ruler. In both instances, you can add about 0.75-1.00 inch to the measurement you got just to ensure you are comfortable while wearing the bracelet. Do the same for your partner, but if the leather bracelet is supposed to be a surprise, then it should be done in a planned way, so they don’t know what is coming. This way, you’ll be sure of comfort as you don’t want to go through the stress of paying and waiting for shipping/delivery, all for the leather bracelet to be nothing close to yours or your partner’s size. Do you want a bracelet that tells a story or a plain one? Before you jump into a conclusion, both bracelets speak, but in different ways. 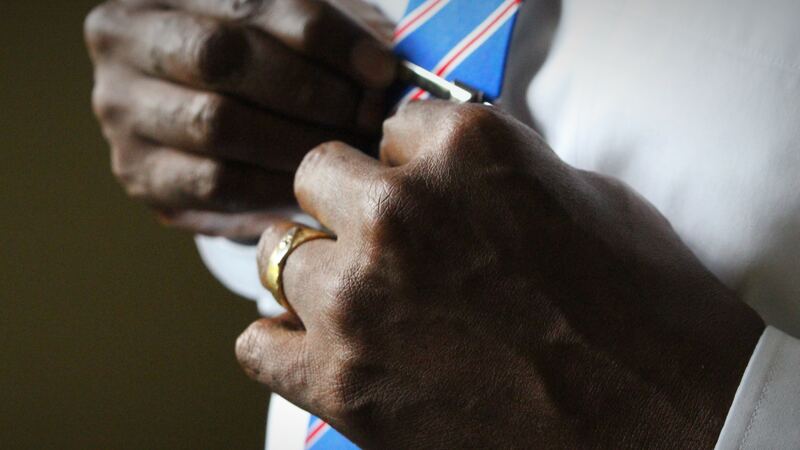 A bracelet might have details that tell a story and another might be plain. This doesn’t mean the bracelet is not good enough for your use or your partner’s use, it only makes it somewhat mysterious. What kind of bracelet do you plan to get? Do you prefer a plain one or one with a hidden text or one that brings back a memory for you both? A clear understanding of what you want will help you make a great choice. To make this choice, you might like to consider what your partner would prefer especially if there are not even aware that you’re purchasing it. 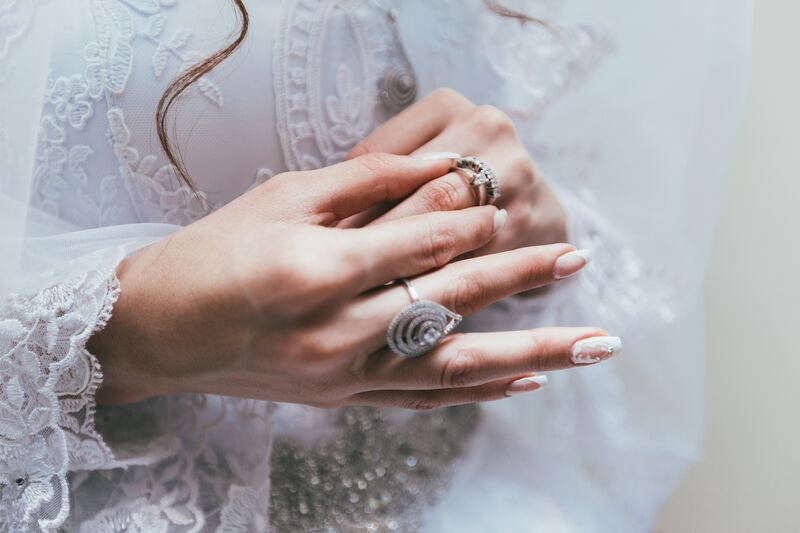 Unraveling the mystery behind a piece is enough to even start a great conversation and if you have a partner that would appreciate such a piece and the kind of conversation that would follow, you should totally go for a bracelet that tells a story. If you have a partner that prefers to keep it simple, then you don’t need to get a dramatic bracelet. It’s not as though the simple ones don’t tell a story, but the stories they tell are told with a different tune and a large drop of mystery too. Getting bracelets are great, but no matter how good the materials used for their crafting are, improper care can totally destroy them or reduce their quality. You don’t have to wait until there’s a great deal of water splash before you start searching on Quora for the best ways to care for your leather bracelet. First, wipe the leather with a piece of cloth. Then, dampen the edge of the cloth a bit with lukewarm water, add a little soap and then scrub it in a circular motion. Clean all parts; from the center to the side and all the edges. Clean off excess soap with a clean and damp cloth. Place it on a clean cloth and let the sunlight dry it out. If necessary, make use of leather conditioner. 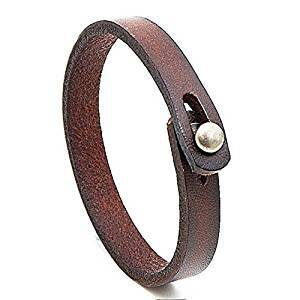 Having these little tips about becoming a new leather bracelet owner is really helpful and would allow it to last for a longer time. 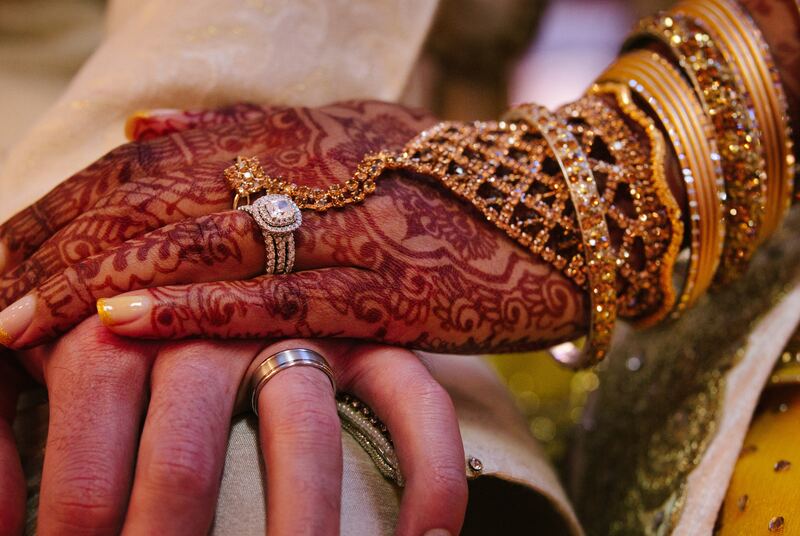 There are so many expensive things money can buy to make your anniversary a lovely one, but nothing beats having a custom handmade personalized couple cuff piece for you and your partner. However, these bracelets were not made of only leather; they were made using high quality European Leather and Titanum Stainless Steel. When you personalize it, it gets even better. You get to choose what is written on it and the font you would like it written with as well as your font style of preference. The width for the woman’s cuff is 0.5cm while that for the man is 1.8cm. The woman’s steel base measures 17.5cm while the steel base for the man is 18cm. This measurement tends to fit most wrists. The stainless steel used does not put you at risk for allergies. It is also durable as it doesn’t tarnish or rust. It makes a perfect gift for both you and your partner (It could even come as a surprise) for your anniversary, valentine gift or even your wedding gift. Since it’s a matching bracelet, they will be really thrilled and it will get them thinking of you and how considerate you are because of how specific the gift was to them. You’d absolutely love it and you get to rock it to almost anywhere or on special occasions; the choice is really up to you both. It is not resizable, so ensure you check for your measurements before ordering the bracelets. It is totally worth its price; you would have no regrets buying them. If your partner love superheroes, you should totally go for this elegant bracelet. This particular one is the “Spiderman style”. However, this does not limit its use to men; ladies can also using it. If you’re looking to gift your partner or buy for two so the both of you can have it in common, then you’ve hit at jackpot as this product is also super-affordable. Its adjustable closure lace makes it possible for a perfect fit no matter how big or how small your wrist is. It is great for a treasure (to keep your partner close to your heart), a gift as well as a piece to be worn to occasions. It’s a bracelet to grab people’s attention anytime and any day, so don’t be shocked when someone else begins to ask that you give them as a gift. 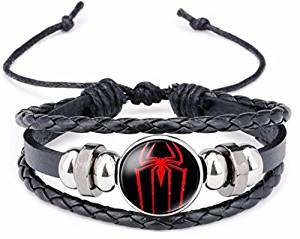 The spider symbol calls the attention of others to the bracelet and when they discover it is truly a symbol pointing to Spiderman, they would definitely ask for the store where you purchased it. This is a classy bracelet from New-Horizons production and its three segments makes it stand out from the kind of look a random bracelet will give; it does extra by making you look unique or elegant. 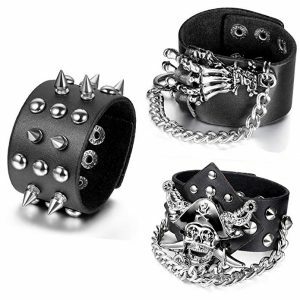 With this kind of bracelet, neither you nor your partner would want to go out without having it on your hand. It would become a default piece to use. Manufactured by Aroncent, this unisex bracelet is handmade. It was made with 100% high grade cotton rope and genuine leather. It is very comfortable, so if comfort is a thing for him or her; this would be a great choice. You can choose to wear it in a loose manner or a fitted manner. It is highly affordable and the collection makes a perfect gift set that your partner is sure to appreciate. They can choose to keep two and use one or vice-versa. You could even get the last one. You simply get the set for you both too. Since it is made of new and high quality leather, you may perceive the leather on it, but on exposure to air, the smell of the leather is sure to fade, so have no worries. It is indeed the ideal gift as it is usually packaged in the Aroncent custom-made bag. The silver on it is made with pure stainless steel and it isn’t going to get removed easily. The product is strong and durable. This multilayered bracelet looks elegant and rich. It was made with high quality leather along with several other quality beads. The eye at the center would catch the attention of anyone, as the idea of it is fascinating. It would make a perfect gift for him or her, especially if they like having several beads or accessories on their wrists. It is great for both sexes, so it works if you have to gift it to a male-partner or a female partner. 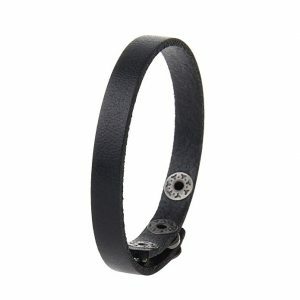 The material used to produce this bracelet is imitation leather and the entire bracelet has a diameter of 6cm. It was manufactured by Edtoy, a brand that pays special attention to quality and details. You can wear it for any occasion and with almost any outfit, as the brown and black colors makes it suited to any other color you might choose to wear. It also comes at a very economical price, so you don’t have to break the bank to get this amazing gift for you and your partner. You two can choose to separate the layers such that they are spaced out or push them all together; squeezed up so it looks rich. This set of two is simply awesome for a couple. It has matching coordinates looks awesome and it gives a wave of something new. Couples tend to get matching stuffs like clothes, hoods, sweatshirts and jerseys, but matching coordinate bracelets; that’s unique! Its edges are made with steel while the inner part is made of leather on which you can engrave the coordinates of your choice. 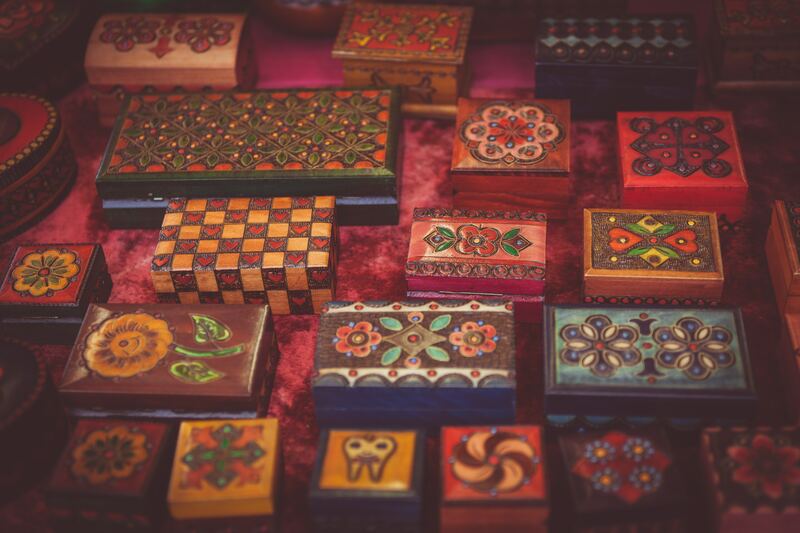 However, there are no hard and fast rules, so you can engrave any other meaningful message that allows it to be a gift that would stand the test of time and have a special place in your partner’s heart. You can get it for the both you as gifts on a special day; perhaps the day you met or the day you had your first kiss. 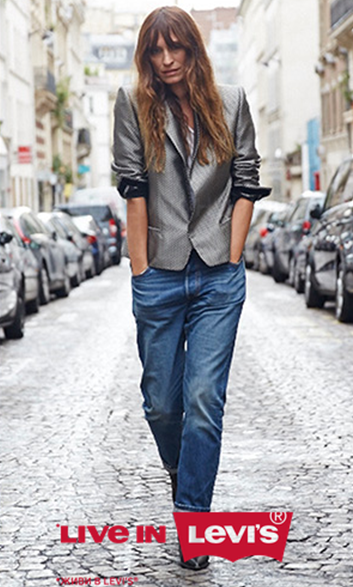 It looks really good when you use it with casual wears. It is hypoallergenic too, so it’s safe for use. It comes in a nice cute box, so you’ll have no problem bringing it out as a surprise and opening the box for them to see it all nice. It also has a leather inlay and once you get it, you won’t want to let it off your wrist anyone. Users have testified that wearing it is somewhat addictive, as it looks really nice on the wrists. With these bracelets, what you see is really what you get—it’s that pretty! This unisex bracelet is a simple, yet powerful way of saying something special. Imagine carrying a bracelet around with a message on its inside that says something as simple as “your smile takes away my worries”. 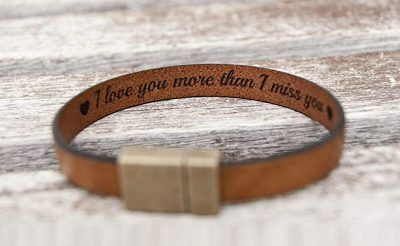 This is what makes this bracelet a great gift for your partner, as they can easily look at it and remember the memories you once shared. You could your boyfriend or girlfriend as your anniversary gift that would make them feel very special. It is made using European high quality genuine leather. It is as wide as 10mm. It also has great magnetic clasps that have the extra advantage of being hypoallergenic. There are no complexities with wearing it; you can wear it very easy and you would be comfortable wearing it all day long. 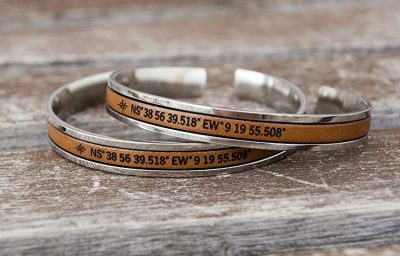 You could also buy matching bracelets that has special dates written on them (this could be your anniversary date) or even your pet names written on it. The metal on it is made from stainless steel, taking away chances of getting tarnished or rusted. The clasp is a Zamak Clasp. The width of the entire bracelet is 0.40 inches while its length is 6.80inches. It was produced in Europe by a manufacturing company called “BeGenuine” known for their modern, handmade design. Getting a gift like on your anniversary for your partner tells a story. It’s a unique handmade gift and engraving coordinates of your choice on it is just great. It wouldn’t just be a random gift, but it is one that would make your partner let out a laugh. Having coordinates in Roman Numerals is a little speaks a little mystery and it is a gift they are bound to remember. 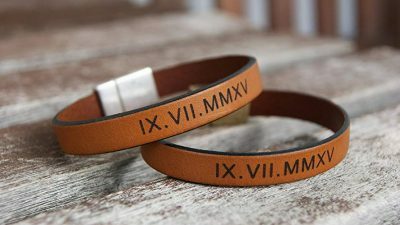 Asides the fact that the leather is of good quality, the Roman numerals will attract lots of attention each time any of you or the both of you wear it. While it gets people wondering, it would get you smiling and bring back the memories of the first day you got. Want that? Then you should consider getting this nice bracelet which is also of modern design. 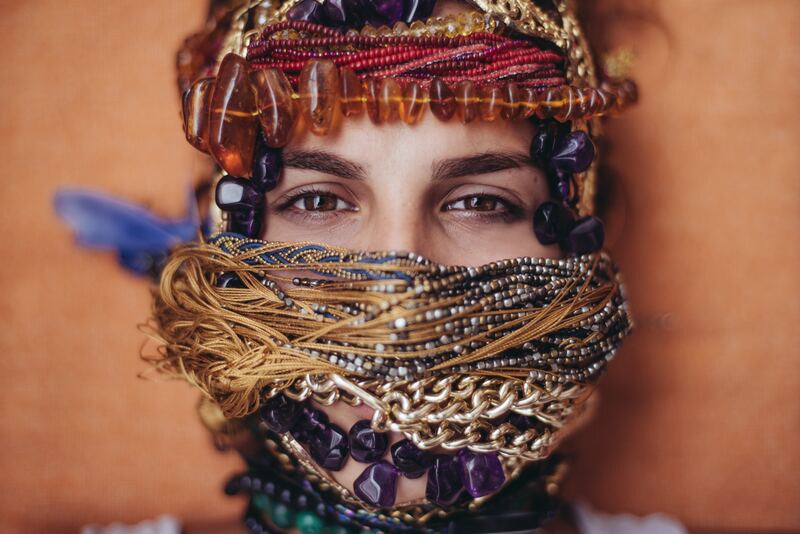 Designed by BeGenuine, it is handmade and crafted in a way that gets one wondering if only one of it was made as special attention is given the details on every piece. 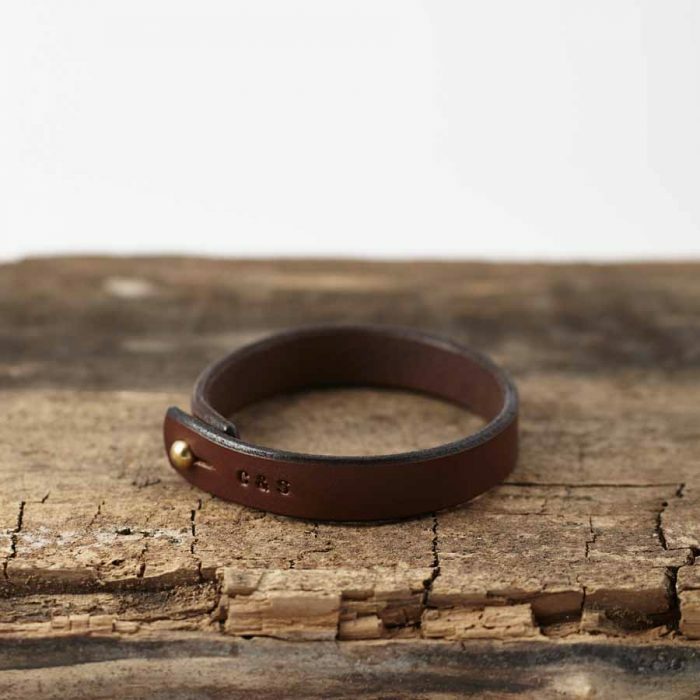 This is a simple brown leather bracelet with its uniqueness embedded in its simplicity. It is made with 100% of the best of leather materials. It is a carefully crafted handmade design. The leather used to design this piece is eco-friendly. It also has eco-friendly zinc alloy adjustable buckles (between 7.5-8.5 inches). However, it is free of lead and nickel that have been discovered to cause harm to the health. As a simple and unique piece on your wrist, it adds up to your overall fashionable look. It is unisex and for this reason, it can be purchased as a gift for you and your partner to wear on a daily basis. It can easily be worn on a daily basis since there’s no extra drama on it to attract a level of attention that is almost overboard. The craftsmanship is awesome and even though it is void of details, it can be easily seen as a classy piece. 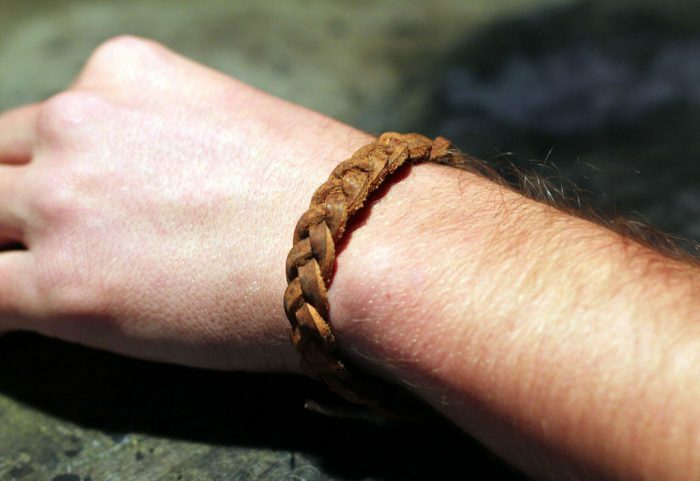 This bracelet is great for men and women alike. It is a simple braided bracelet and for this reason, one can easily wear three or four of it. It is sure to turn out really cute on the wrist. It has a stainless steel locking mechanism, but have no fears because it is very easy to use. All you need to do is snap the steel together to secure and give a light push on the button when you want to take it off. Ensure you measure your wrist and add an inch before ordering this bracelet. It was manufactured by Loralyn Designs, a brand dedicated to constantly crafting special products to meet the needs of this generation. The material is not only comfortable on the skin, but it is of high quality; in spite of the fact that the bracelet is very affordable. It also comes in a custom-made Loralyn bag which you can return it into after daily use. This is an uncommon and trendy bracelet and it can be worn very easily. It comes in red, blue, black, white and brown. It passes for use by both men and women, so it makes a great gift if you choose to get one for you and your partner/lover. Unlike other products that come with words engraved, you can purchase this one plain, and then engrave the words like on it. It is really affordable and it is a gift you can get without any strains on a pre-planned budget. While leather bracelets are amazing, proper care is what makes them last for long. Most of the products listed here are not to be dipped into water or their life span would be sabotaged. Leather bracelets are also to be properly cared for and cleaned when necessary or else, they’ll begin to look old even when they can look better. Bracelets Baby Bracelets: Bracelets For Both Girls And Boys!